Home Health Care Policies- The Centers for Medicare & Medicaid Services (CMS) finalized clarifications and revisions to policies regarding physician certification and recertification of patient eligibility for Medicare home health services in the CY 2015 HH PPS final rule which was published on November 6, 2014 (see http://www.gpo.gov/fdsys/pkg/FR-2014-11-06/pdf/2014-26057.pdf). In the final rule, CMS also finalized revisions to the timeframe required for therapy functional reassessments. The Affordable Care Act requires that the certifying physician or allowed NPP must have a face-to-face encounter with the beneficiary before they certify the beneficiary’s eligibility for the home health benefit. CMS is implementing the following three changes to the face-to-face encounter requirements for episodes beginning on or after January 1, 2015. These changes will reduce administrative burden and provide HHAs with additional flexibilities in developing individual agency procedures for obtaining documentation supporting patient eligibility for Medicare home health care. - CMS is eliminating the narrative requirement. The certifying physician is still required to certify (attest) that a face-to-face patient encounter occurred and document the date of the encounter as part of the certification of eligibility. 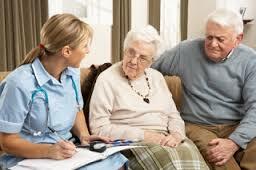 For medical review purposes, Medicare requires documentation in the certifying physician’s medical records and/or the acute/post-acute care facility’s medical records (if the patient was directly admitted to home health) to be used as the basis for certification of patient eligibility. - If a HHA claim is denied, the corresponding physician claim for certifying/re- certifying patient eligibility for Medicare-covered home health services is considered non-covered as well because there is no longer a corresponding claim for Medicare- covered home health services. - CMS is clarifying that a face-to-face encounter is required for certifications, rather than initial episodes; and that a certification (versus a re-certification) is generally considered to be any time a new start of care assessment is completed to initiate care. CMS has eliminated the 13th and 19th visit therapy reassessment requirements. Forepisodes beginning on or after January 1, 2015; at least every 30 calendar days a qualified therapist (instead of an assistant) must provide the needed therapy service and functionally reassess the patient. This policy change will lessen HHAs’ burden of counting visits. This change will reduce the risk of non-covered visits so that therapists can focus more on providing quality care for their patients, while still promoting therapist involvement and quality treatment for all beneficiaries regardless of the level of therapy provided.